The Boyfriend went out of town on a business trip a few days ago; I watch films in the evening to take a break from reading (I finished three books over the weekend). What I especially like in this version is that important (positive) developments for Elizabeth’s and Darcy’s relationship happen outside. The letter, the conversation with the aunt, and the second proposal – all outside, whereas the first proposal is inside. I just like to think it’s a fitting connection because Elizabeth is so fond of being outside and of walking. I like this movie. It’s beautifully filmed and has some really good scenes – the hand thing, the near kiss at the first proposal (outside! ), Elizabeth in the white room with the statues. One problem: What’s with Keira Knightley scrunching up her face to show whatever? My favorite scenes: the one in the hallway when Mark tells Bridget that he likes her just the way she is; the interview, at the end of Mark’s answer to Bridget’s question about the trial – I like his look. He seems like he wishes for himself what he says then. Those who know of my blog very probably know my post about this film. So I’ll just say: it was the fitting conclusion to my evenings of girly romantic films. 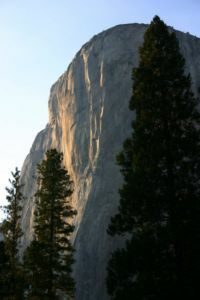 To the Limit is a documentary about an attempt to break the speed climbing record on “The Nose” of El Capitan in Yosemite Park by two brothers, Thomas and Alexander Huber. Ever since I knew about this film, I wanted to see it because in the early 1990s I stood at the side of the road down in the valley of Yosemite Park and stared up at the climbers on the wall of El Capitan in awe. The wall rises more than 3000 feet above the valley and normally, experienced climbers need several days to get to the top. The record the brothers set out to break stood at 2 hours and 48 minutes! So when I saw that this film was on TV this afternoon (today is a holiday here), I sat down to watch it. I can’t say I understood all that was going on. To the Limit is not a documentary that gives a lot of background information or talks much about strategies or logistics. But then, I don’t think that is its intent. The title is to be taken rather literally, IMO, in that in some way there’s a parallel drawn between climbing/going to your limit and living your life: climbing is about going to your limit, testing and pushing it, as life should be. The film also provides a close look at two brothers who have the same passion and how that influences them and their dealings with each other. To the Limit is a film that lives on its spectacular pictures, some of them really stomach flipping (I would like to know how they did that – nice work), and the awe at what some people can and are willing to do. The image is from Wikipedia Commons. The Huber brothers got the record in October, 2007. A new record was set in July, 2008 by Hans Florine and Yuji Hirayama in 2 hours, 43 minutes and 33 seconds. See this entry on Wikipedia for more background information about El Capitan and its climbing history. Since Kristie(J) was so kind to put me on her list of “North and South”-Crusaders, I’ll have to do better than the measly comments I scribbled down about it last year. So this weekend I battled The Boyfriend for control over the TV. At the moment, the European Football Championship is taking place here and for the last two weeks, every night there was football on TV, so TV time is scarce for me. But Sunday afternoon, it was my turn and I settled down to watch North and South for the ?th time. 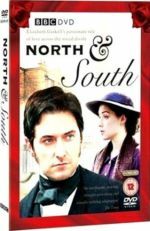 I’m not 100% sure but I like to think I first read about North and South on Kristie (J)’s blog. It’s fitting. After some difficulties – getting BBC DVDs here in Germany is rather expensive (here’s a bit more about that) – I got it at the end of November 2007. Which lead to the post linked to above. “I wish I could tell you Edith how lonely I am; how cold and harsh it is here. Everywhere there is conflict and unkindness. I believe I have seen hell. These words are accompanied by very moving and fitting music. 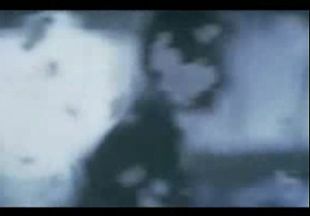 In this scene, the camera moves through the mill. You see people working and white strands of cotton are floating through the air; it ends with John Thornton walking from the left to the right in the background. And really, the line: “I believe I have seen hell. It’s white – snow-white” – every time I see this scene, this line gets to me. I knew then I was in for something great. The actors. Of course, I have to mention Richard Armitage here. He’s able to convey so much with the expression on his face (most famous here probably the “look back” scene). And Brendan Coyle has an amazing presence on the screen in his role as Nicholas Higgins. I include two actors with smaller roles here because really, all actors are great in the role they play: Jo Joyner as Fanny Thornton and Ben Crompton as the police inspector. North and South, at least in the way it is represented in the film, is a densely layered story. You can watch it multiple times, and every time, there’s something new to discover. The words that catch most of the things I see at play in it are (at the moment) change and morals (doing what is right). It’s change that is motivated by industrialization and it’s alluded to with the title. But there is also change that is not completely driven by industrialization, change on a personal, individual level. And combined with it is the question of what is the right thing to do. The romance between John Thornton and Margaret Hale is both representative of change on the greater scale of industrialization and on the smaller scale of individual life and intertwines these two (most notably in the proposal scene, I think). The first hint of change is right in the first scene. A train is moving and in it sits a young woman who has a yellow rose (?) in her hands. She’s on her way north together with her parents because of her father’s decision to move there. It’s a change motivated by the conscience of Margaret’s father. They arrive in Milton, an industrial town, where life and people are clearly influenced by and live with the change brought about with industrialization. Especially in the first two episodes, there’s a strong connection between change and morals. Early on, while Margaret is house hunting in Milton, she overhears a conversation about why her father moved to Milton. It’s the first conversation where a question is touched upon that gets asked again and again in North and South: What role should morals play in relation to work? Are there circumstances where conscience is appropriate when you have to work to live? There is Mr Hale, Margaret’s father. He uproots his family and leads them into an uncertain future because he couldn’t reaffirm his belief in the Book of Common Prayer with good conscience. He doesn’t think about how to make a living; his decision is completely ruled by his conscience. There is a great scene with his wife telling him what she thinks about his action. Did he do the right thing? There’s the case of Margaret’s brother Frederick. He’s sought as a mutineer because he couldn’t stand by and see his Captain abuse his position (beating children). Did he do the right thing? On the other hand, there is John Thornton. At a dinner (paraphrasing here) he answers Mr. Hale’s question about how he decides what to do that sound business sense governs his decisions not some moral law. Did he do the right thing? There’s Nicholas Higgins’s family, and Boucher’s family and they again represent another side, obviously more directly opposed to John Thornton than Mr. Hale, for they are the ones who have to suffer the most under the changing working conditions. Did they do the right thing? Whereas the first two episodes concentrate on asking the question about morals and change, I see the last two episodes as more about the consequences of the changes. The strike is over and there’s work to do. And at least at Marlborough Mill things get better with time: the cooking house where the workers can eat. But there is also a darker side: people die. Bessy Higgins dies as a result of her work; Boucher because he’s “driven mad” by circumstances related to work; Margaret’s mother with the implication being that her death was the result of the move from the South to the North. And later Margaret’s father dies also. John Thornton and Margaret Hale are the characters where change and the question of morals is at play and intertwines on both the larger (social) and smaller (individual) scale the most. Margaret Hale is the character whose change is chronicled best in North and South. With her, the film starts and with her, the film ends. At the beginning, her life changes because of her father’s decision. At the end, her life changes because of her decision. (By the way, I really like the mirroring of the first and last scene in this film.) During these two points in her life, she learns a lot about herself and about other people and their way to live. She learns to appreciate them. There’s for example the scene where she wants to write a letter to her cousin Edith, finds she can’t confide in her and then goes to visit Bessy to talk with her about what’s on her mind. At the end of the film, Margaret went from a”traditional” way of living to someone who engages with the change brought about by industrialization. John Thornton’s life is maybe touched the most by industrial change of all the characters in that he knows about the ups and downs first hand. After the speculation of his father went wrong, he worked his way up from poverty. 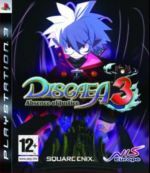 At the start of the story, he and his family are wealthy (again, I assume) but the mill gets in trouble and at the end, he loses all. And Margaret represents change on the personal level. She challenges and changes him (as he does she). For example, he goes out to speak to the strikers because she urges him to do it. He “befriends” Higgins which, in some way, makes their HEA possible. The romance in North and South uses one of my favourite premises: unrequited love. John is attracted to Margaret very early. He on the other hand had a very bad start in regard to her opinion of him. The first time they meet, he beats one of his workers for smoking while at work in the mill. So he starts at the lowest possible point in Margaret’s estimation. His attraction keeps growing even though it becomes clearer and clearer (and in an ever more painful way) that she doesn’t care for him and “won’t have him.” At the beginning there’s for example the not given handshake. Margaret’s rejection of his marriage proposal confirms his believe that she doesn’t care for him. But it doesn’t stop there. He comes to think she has a lover and it ends with the lowest point possible for him: he compromises his principles for her (there are at least two instances where his adherence to truth are mentioned). He knows Margaret lied when she said she wasn’t at the train station but he doesn’t say so. This leads to the brilliantly filmed scene where he tells Margaret that he looks to the future and he no longer has any passion for her. Margaret’s father asks her at one point what brought about the transformation in her opinion about John. At the exhibition in London it’s clear that some change in her opinion about him has occured. She “defends” him when she sees how he’s treated and perceived by others. There are some more instances and then there’s the marriage of his sister Fanny where she sees him with another woman and realizes that and what she has “lost.” In that view, Margaret follows a reversed path to John’s in terms of admiration: he starts out with admiration that diminishes over the course of the story (but he can’t help himself with the attraction thing) whereas Margaret goes from zero admiration to a lot until she says to him at one point: “I have a better opinion of you than you of me at the moment, I feel” (paraphrased). I know I’m so far out of the window with what I’ll say next that I’m standing on thin air, but anyway. 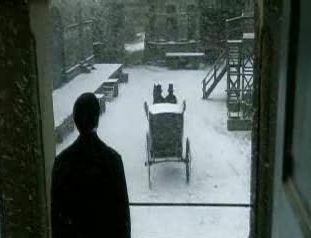 The famous scene with the carriage driving away and John looking at it and saying: “Look back. Look back at me” always makes me think of the scene at the end of episode 1 when Margaret speaks of hell and white (above). The carriage and the swirling snow flakes are only filmed for a short time but they remind me of that scene. The most part of this scene is a close up of Richard Armitage’s face while he looks after the carriage (and isn’t it heartbreaking when you know she didn’t turn back because of the expression on his face?) But I also imagine what he sees and that’s a dark (black) carriage driving away from him through swirling white snow flakes and taking Margaret away from him. So I like to believe he also thinks he’s looking at hell, and that hell is snow-white. Awwwh! What can I say? I watched North and South Friday night, went to bed at 2 a.m. – WOWed and “this was really good” – dreamt about it, got up and watched it again. How’s that for a comment? There are many great scenes, and many wonderful-not-that-important-for-the-plot-but-nevertheless great scenes, I don’t know which one(s) to single out. But then, it wouldn’t be wrong to say that each and every one scene is just right. Really. Also, I’m still just too “wowed” to say anything more coherent and thoughtful than that and it’ll have to do. Maybe I’m watching it again tonight because right now I’ve a small reading slump (at least I hope it’s small). I just can’t sit still to read, although I obviously can do it to watch movies. Go figure. 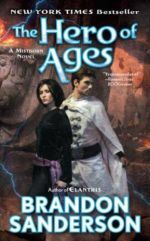 The last novels I finished were Kristin Hardy’s Always a Bridesmaid and C. L. Wilson’s Lord of the Fading Lands. I started to read Searching for Memory. The Brain, the Mind, and the Past by Daniel L Schacter last week and find the things I “learn” fascinating and interesting, but it’s sure no book to sit down and read in one sitting (my favourite kind of reading). The good news is, apparently I’m still able to order new books. There are more. These are just the ones I looked at today.